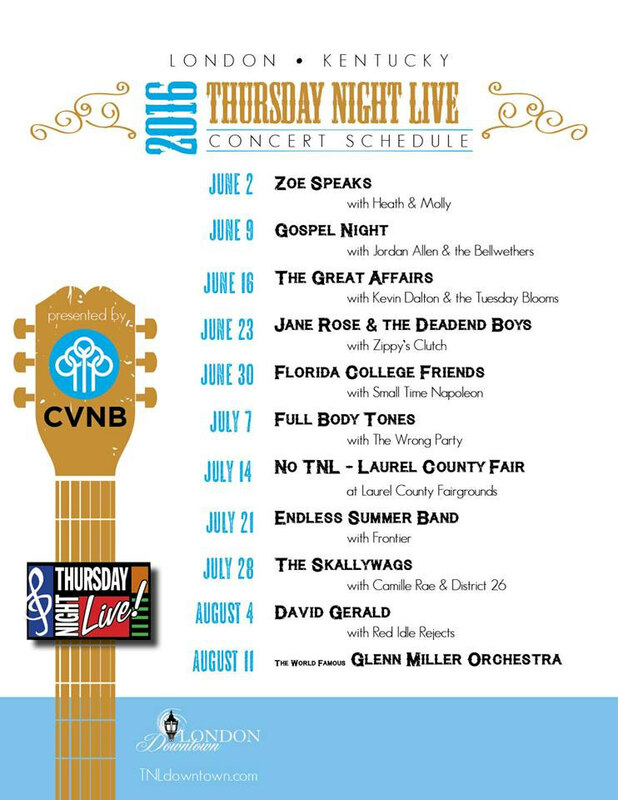 Cumberland Valley National Bank’s Thursday Night Live is a FREE summer concert series held Thursdays in June, July & August. 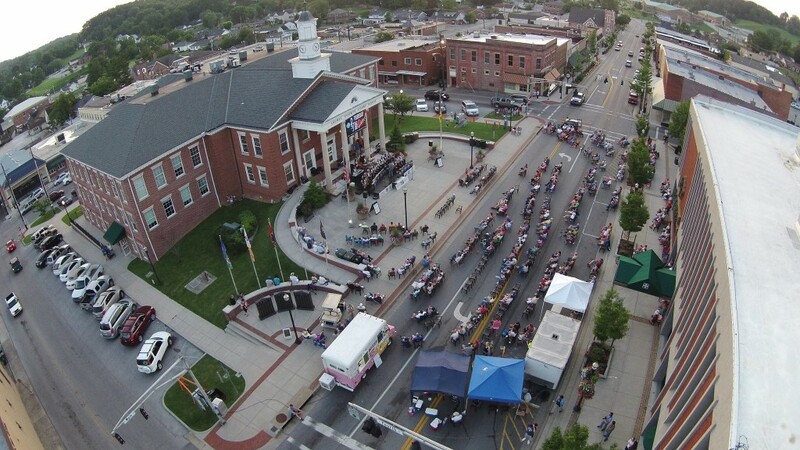 Thursday Night Live hosts a DIFFERENT GENRE of live music every Thursday night from 7:00 PM to 10:00 PM on the Courthouse Square in downtown London, Kentucky. View the season calendar for schedule details. Live music performances including Bluegrass, Blues, Rock, Americana, Jazz, Gospel and Country will be performed and hosted by local & regional artists. TNL is a family friendly event and we welcome you to come and enjoy an evening of live music in our beautiful downtown.